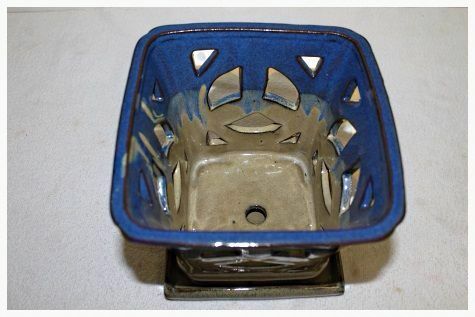 This orchid pot has a square shape with a standard lip. 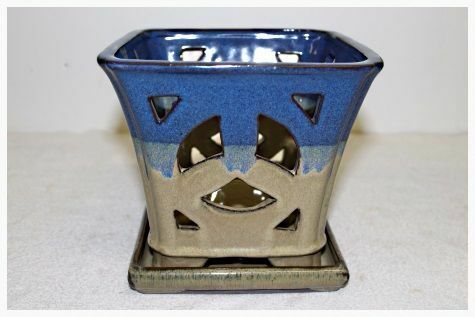 It has a blue/beige glazed finish and one drainage hole. The pot has different cut outs to form a pattern on all four sides. The pot measures 19x17cm and comes complete with a matching saucer. You will earn 7 points which is the equivalent of €0.70 when ordering this product.